Lexy spent her first eight years of life at a backyard breeder, without proper care or love. She gave birth to countless litters of puppies, leaving her stomach swollen and stretched, and she was never allowed outside. 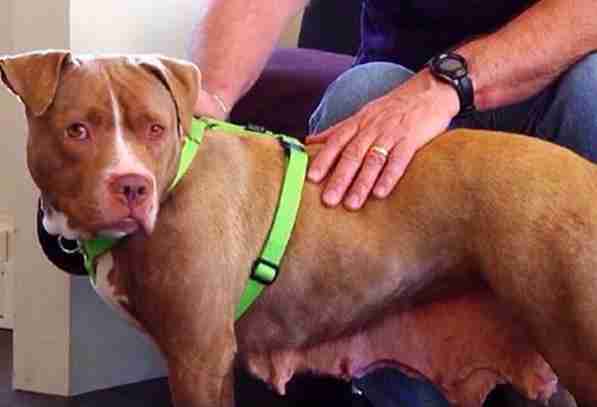 Lexy's life was dismal - until she was finally rescued. 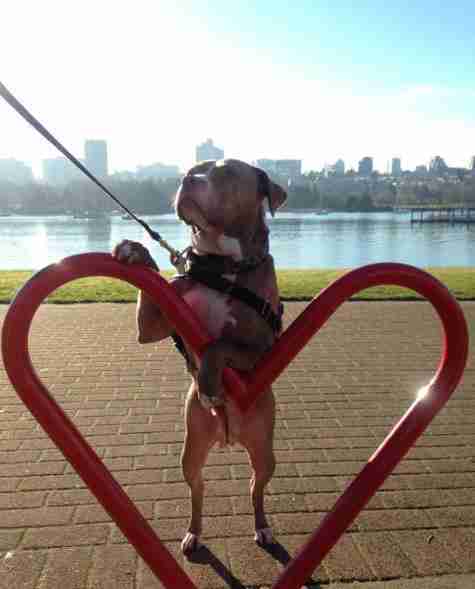 The senior pit bull ended up at the British Columbia SPCA, and waited months in the shelter for someone to notice her. In all her time there, only one person applied to adopt Lexy - and that person turned out to be her new forever mom, Jenny Mackay. 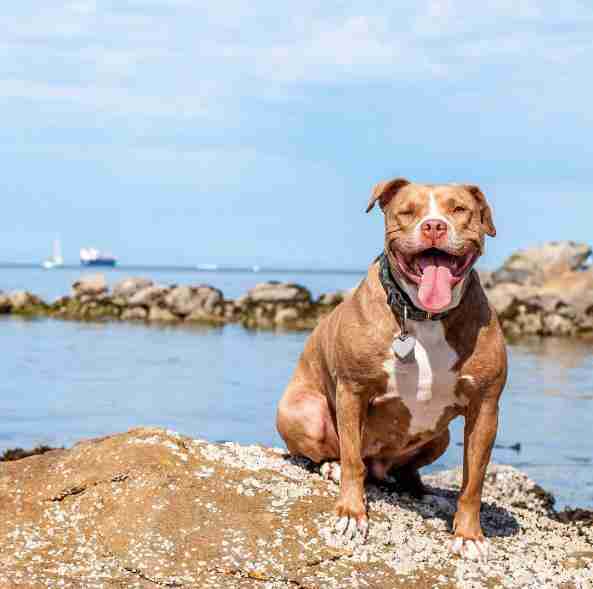 "Where others who walked by her cage saw a senior dog, a pit bull type dog and a dog with a distended belly from over breeding, I saw simply a dog who needed love," Mackay told The Dodo. 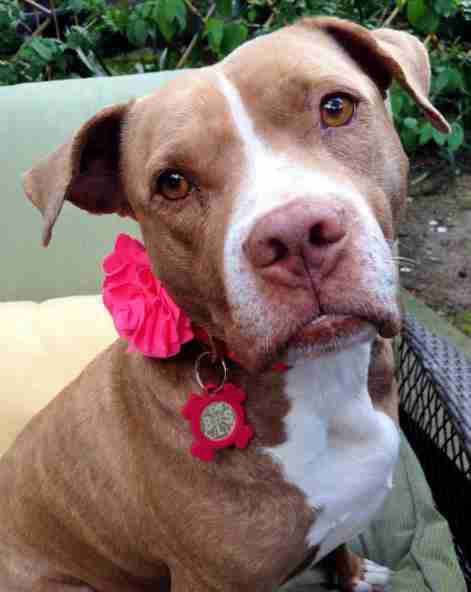 Lexy finally had a real home - but after all that she'd been through, she still had a long way to go. When Lexy first arrived at her new home she was nervous, shy and riddled with emotional issues from her life of breeding and confinement. Lexy had no idea how to function in a stable home, but despite her challenges, she knew she just wanted to be loved. "Her wounds did not hold her back. From the very first day she only loved and all she asked was to be loved in return," Mackay said. 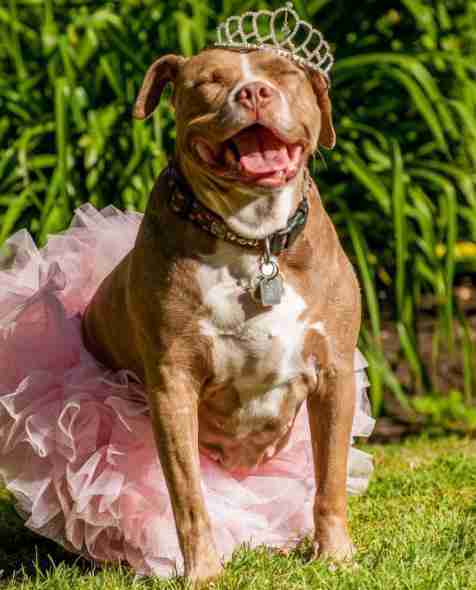 Because she'd been kept inside for her entire life, Lexy essentially had to relearn how to be a dog, and how to enjoy everything life has to offer. "We spent many months working with a trainer to help her learn to walk on a leash and understand 'outside,'" Mackay said. At first this new world of freedom was a little scary for Lexy ... but before long, she had completely embraced her second chance. "It took her months to enjoy the comforts available to her," Mackay said. 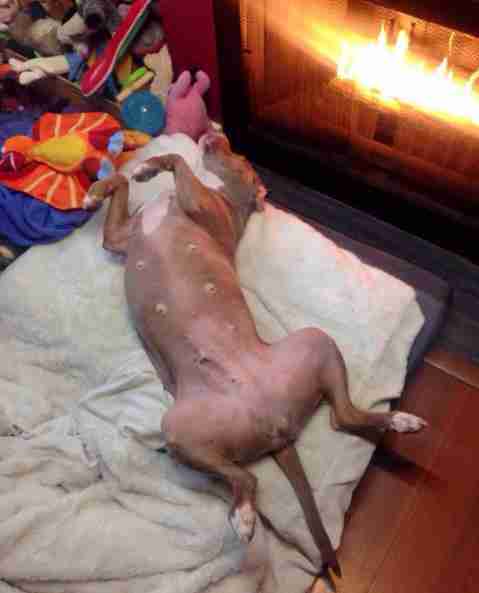 "Her dog bed and the fireplace scared her, but now one of her favorite evening routines is to lay on her back in front of the fire and soak in the soothing heat." 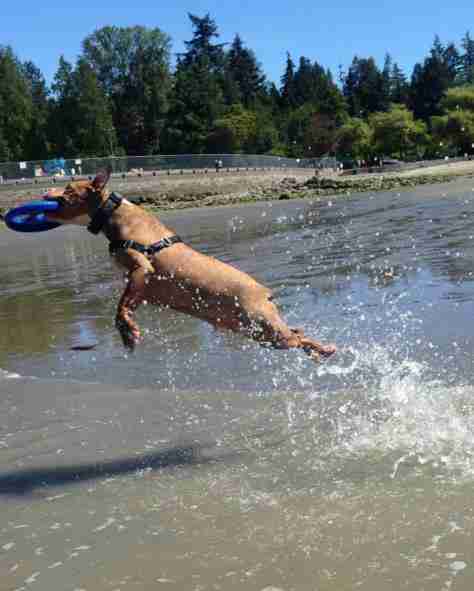 ... and go for swims with her new toys, too. 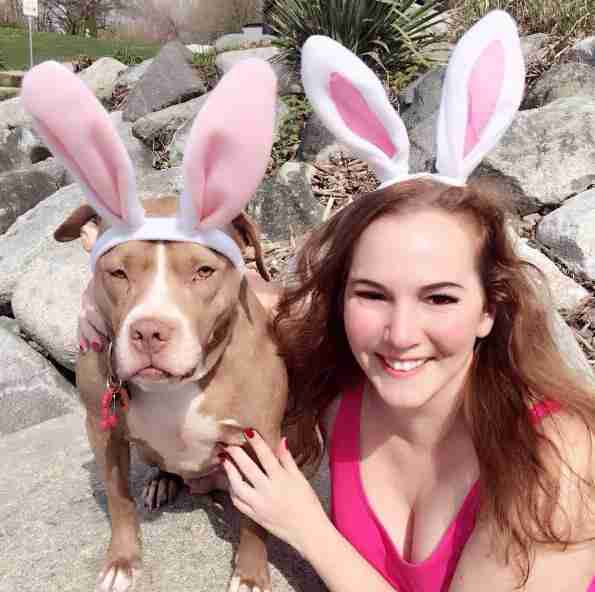 Lexy and her family are huge advocates for pit bulls and senior dogs, and use her Instagram account to spread love and awareness every day. Lexy is now 10 years young, and shows no signs of slowing down. Now that she's free, she's not taking a single moment of her life for granted, and she'll continue to thrive until her very last days. "There is no hope for humanity if we continue to look past those in need - be they four legged or two - and to label and judge based on our fears," Mackay said. 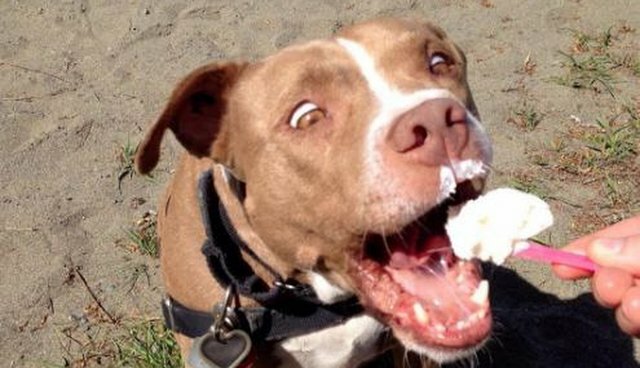 "We can all learn much about who we should be from a rescue dog."